Update: The videos have now been removed from YouTube. We’ve had ourselves a sneak peek at iPhone 3.0 for a while now, but what about the other main event at this year’s Worldwide Developers Conference: Mac OS X 10.6, known to you and me as Snow Leopard? 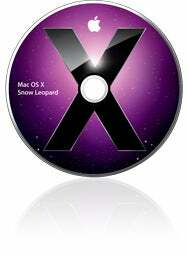 News about Snow Leopard has been thin, with the little that Apple has told us focused on the under-the-hood features: 64-bit technology, OpenCL, and the multicore-optimized Grand Central technology. That’s enough to make developers and tech fetishists swoon, but what about you, the average user? What do you get out of Apple’s latest and greatest operating system? If you’re looking for a sneak peek, you’ll want to check out this set of YouTube videos by user LeopardOctober (which we hope isn’t a prediction of the OS’s release date) uncovered by the folks at MacMagazine.com.br. They purportedly show off a number of tweaks expected in the forthcoming release, including hierarchical navigation in Stacks, a new interface for QuickTime Player, text substitutions (which the huge nerd in me thinks looks pretty cool), adjustable icon views built into Finder windows, and more. We don’t know how long the videos will last before the elite, impeccable monochromatically-garbed Apple SWAT team secures the leaked materials, so if you want to get a glimpse, you’d better move fast.